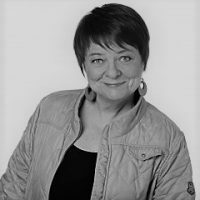 Tarja Cronberg is a chair of Peace Union of Finland, D.Sc. (Tech.) and D.Sc. (Econ.) and a former Minister of Labour in Finland. She is also a former MEP. In the European Parliament (2011-2014) she worked as a Chair of Iran Delegation and as a member of the Committees for Foreign Affairs and Security and Defence. Ydinasepolitiikasta kirjaa kirjoittava Tarja Cronberg ruotii artikkelissaan eurooppalaisen ydinaseriisunnan tilaa. Hän katsoo, että Unioni voisi olla vahva toimija ydinaseettoman maailman tavoittelussa, mutta jostain syystä näin ei ole. Why Does the EU Stay Silent on Nuclear Disarmament? How can we explain the stalling of talks and postponement of real action towards nuclear disarmament, and what are the obstacles holding back the EU from being a leader by example?